Special thanks to our Guest Bloggers. Click on their name to contact them. They are busy working on their bio's, so check back later to find out more about them. We're always recruiting new bloggers, so check back often! 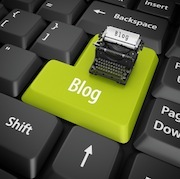 Do you want more exposure for your blog? Sign Up Now! Don : Thanks, Doug. You're the first to complete the biography.